Thomas Amery of this parish, bachelor and Sarah Waterfall of this parish, spinster, were married in this Church by Banns, this 28th day of August in the year One Thousand Eight and Thirty Three. [S26] Baptisms of St Marylebone - Sarah, (Period, 1811-1812), Sarah Waterfaul daughter of Thomas & Sarah Waterfaul baptised 25 Dec 1811, born 5 Dec 1811. [S27] Baptisms of St Marylebone, (Ancestry.com), P89/MRY1, Item 012., P89/MRY1, Item 085 (Reliability: 2). 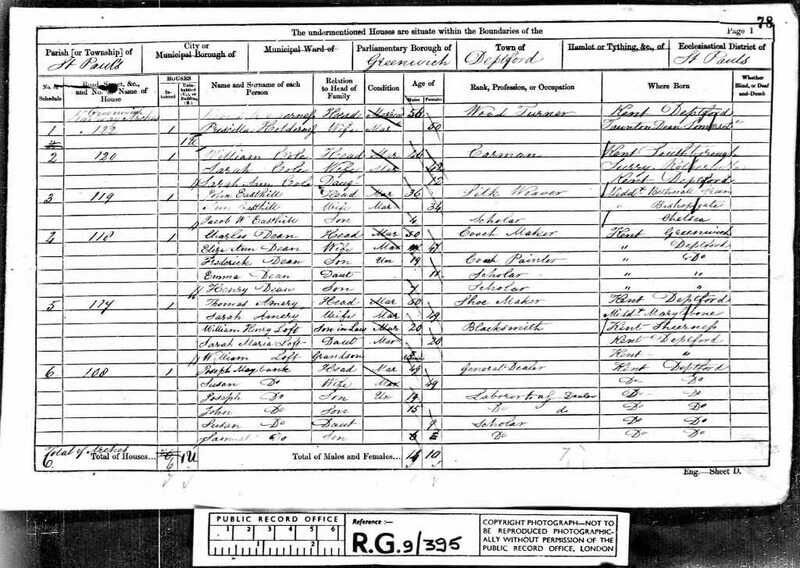 [S9] 1841 Census, (Ancestry.co.uk), HO107., HO107/488 Book 6 Folio: 40 Page: 27 (Reliability: 2). 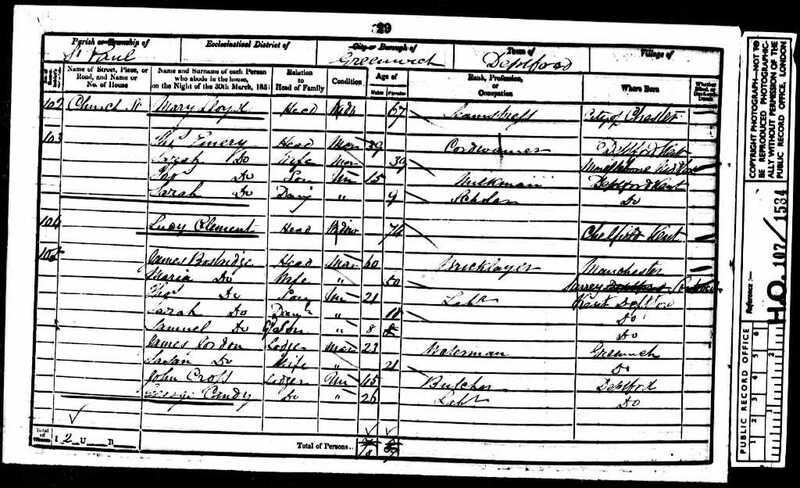 [S10] 1851 Census, (Ancestry.co.uk), HO107., HO107/1584 Folio: 436 Page: 29 (Reliability: 2). [S8] 1861 Census, (Ancestry.co.uk), RG9., RG9/395 Folio: 78 Page: 1 (Reliability: 2). 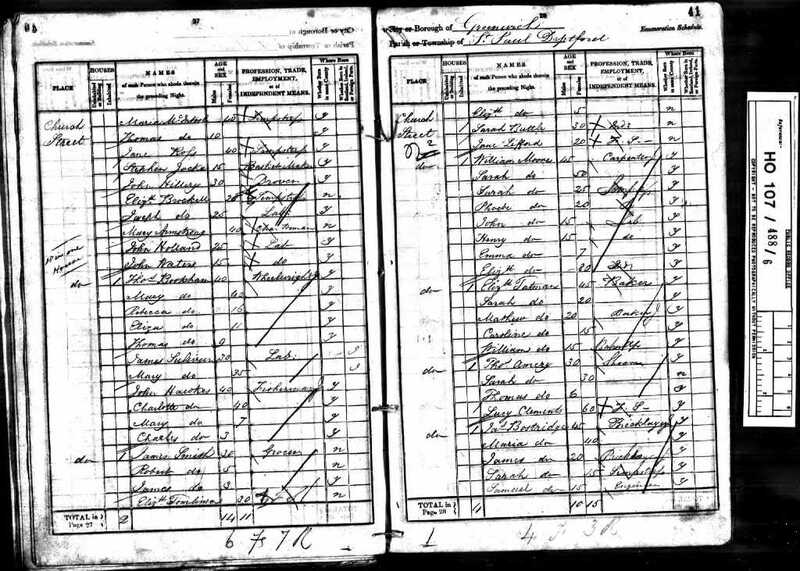 [S1] Death Indexes, (Ancestry.com), June 1866 Greenwich 1d 427. [S25] St Marylebone Marriages - Thomas Waterfall & Sarah. [S29] St James Church, Bermondsey, Thomas Amery of this parish, bachelor and Sarah Waterfall of this parish, spinster, were married in this Church by Banns, this 28th day of August in the year One Thousand Eight and Thirty Three. Witnesses: Thomas Waterfaul & Caroline Amery.